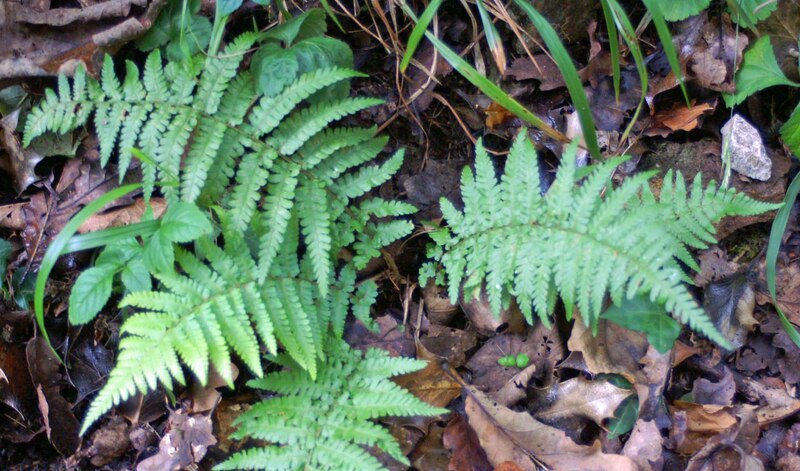 Bryn Euryn’s woodland is home to a good number of native species of trees, including Ash, Beech, Silver Birch and Sessile Oak. 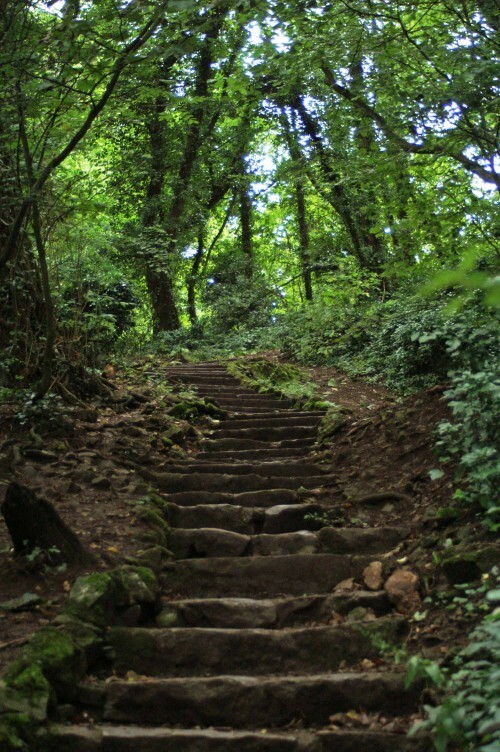 There are also many large Sycamore trees, which although well-recognised and widespread in Britain are the true natives of woodlands of Central Europe. 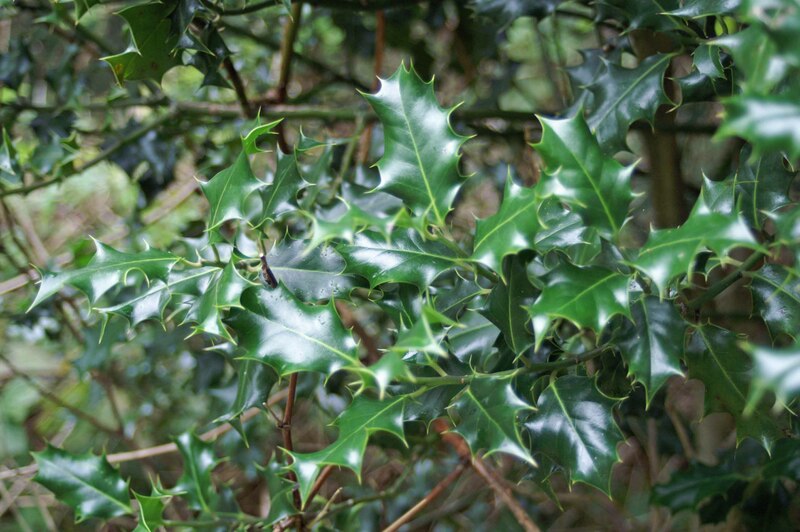 Amongst the large trees are sprinklings of native shrubs or smaller trees of Holly and the occasional Yew, with Hawthorns on the woodland edges. 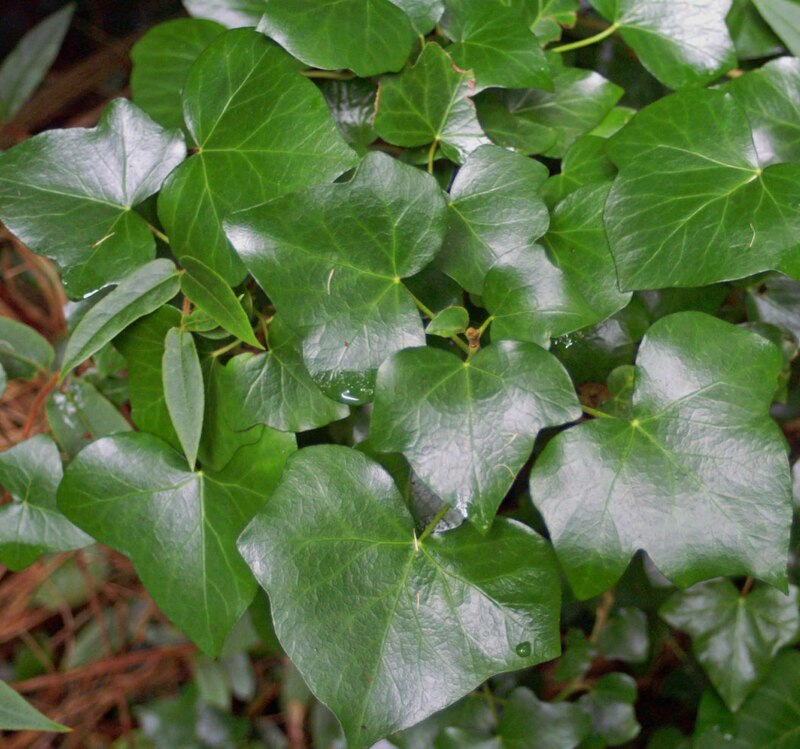 Ivy is another plant that is so widespread and commonly occurring that I was quite surprised to find it is not a native plant in Northern Europe, but hails from western, central and southern Europe. 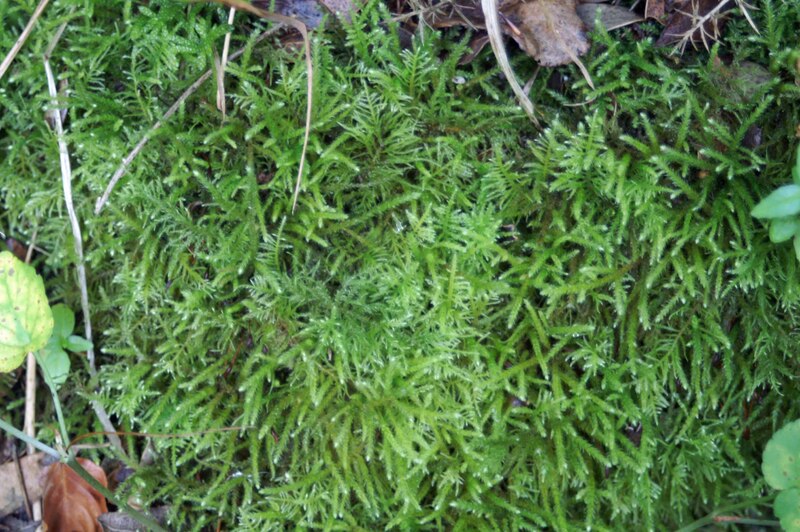 The cool shady and damp woodlands provide perfect habitat for various species of ferns, mosses and lichens too. 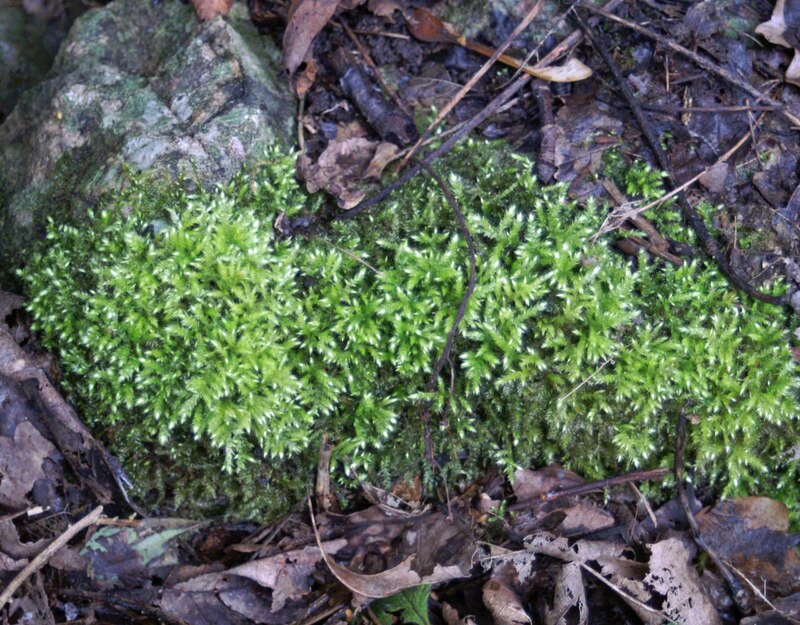 I love coming across little ‘scenes’ such as the one below, where moss partially clothes a craggy rock which also supports a blue-green lichen and is surrounded by dried leaves and twigs. So many textures shades of colours in a very small area of the woodland floor, and doubtless many insects and micro-organisms are there too. 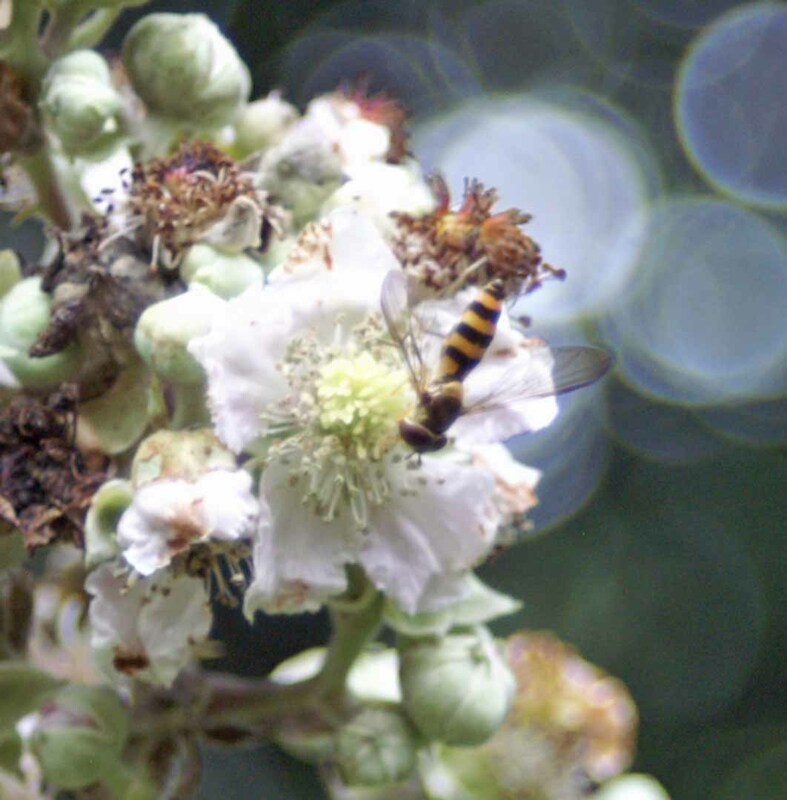 In open spots on the woodland edge there are brambles, flowering at the moment and attracting lots of little hoverflies. 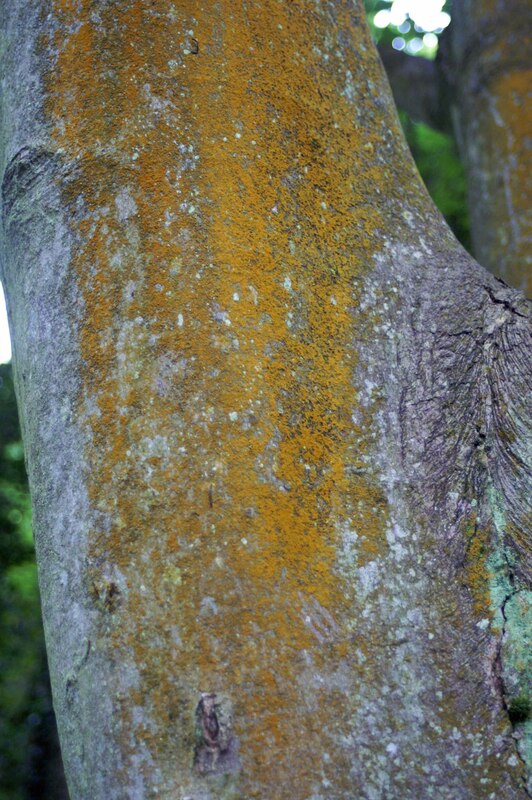 The bright yellow Mustard Powder lichen or Gold Dust lichen– Chrysothrix candelaris commonly grows on tree bark. 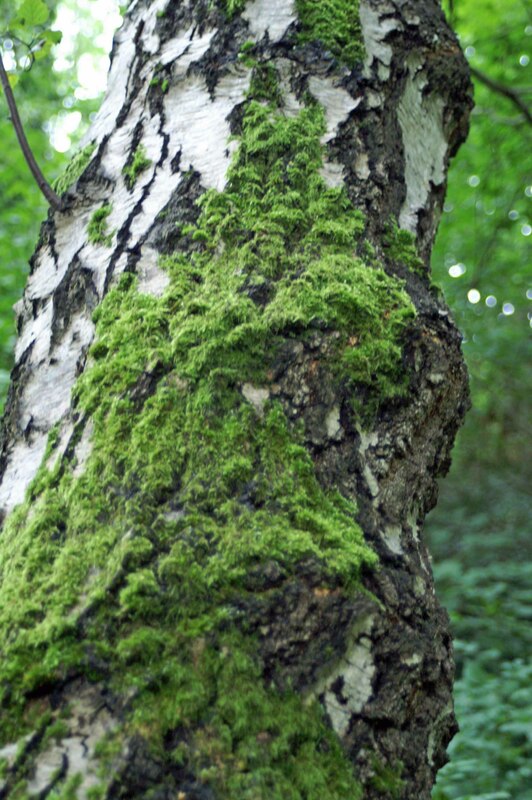 It is widespread and common in the United Kingdom, being found on the bark of deciduous trees, especially rugged old specimens, such as sycamore, alder, oak, willow, beech, and Pinus species, normally in dry shaded parts. I came across the ‘Turkey-tail’ fungus on a path around the summit of the hill and thought it was fascinating. It takes its common name from the way in which the patterning and the cup or spoon shaped fungus resembles, well, the shape and patterning a turkey’s tail. It is a common bracket fungus which grows on the sides of logs or trees and occurs in a variety of colours including brown, tan, orange, white, red or purple, sometimes all together (Versicolor means ‘of several colours’). 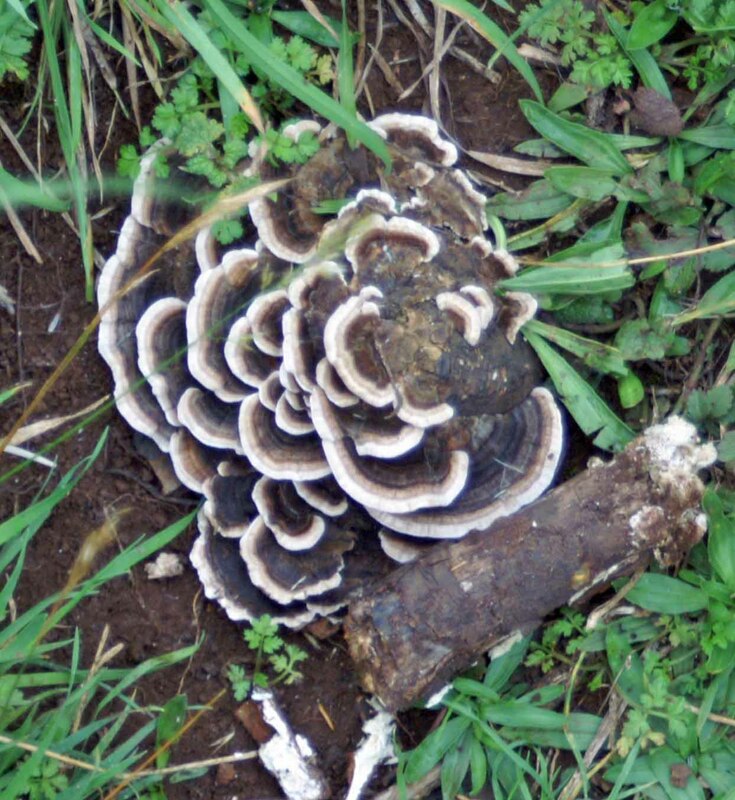 Turkey Tails are not poisonous to people but they are not eaten either.